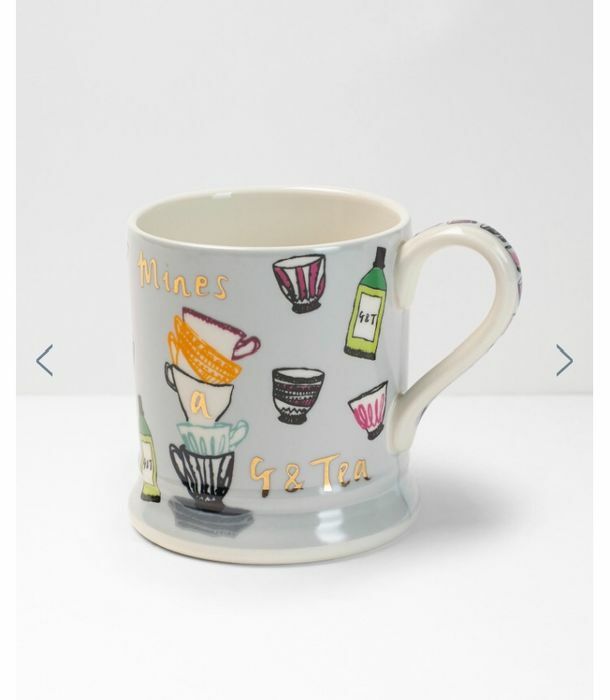 The perfect gift for you, or a gin-loving friend, this funny mug (based on our bestselling mugs) has a 'Mine's a G&Tea' metallic slogan on the front and is just the right size to fit in a nice brew. Not suitable for microwave. What do you think of this White Stuff deal?